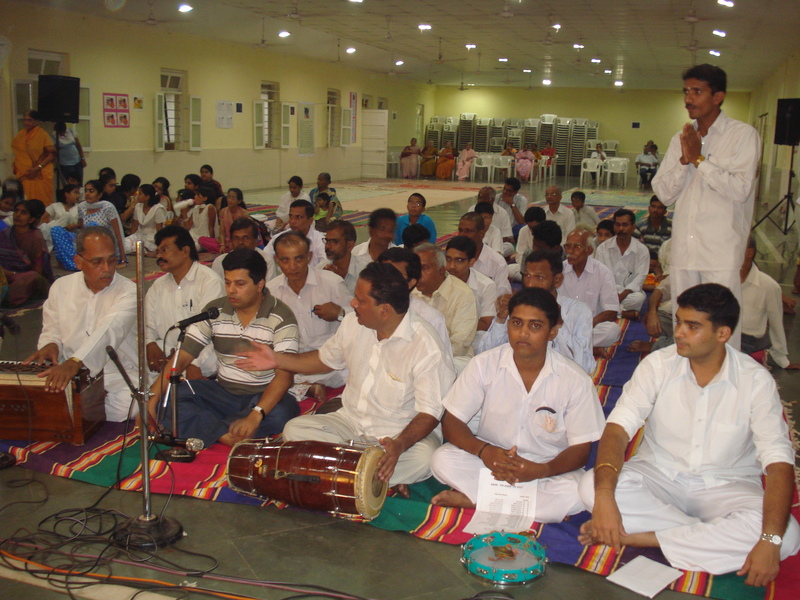 This year the venue for Akhand Bhajan was the sacred abode of Sri Ramnath, situated admist the ancient temples of Goa at ponda (ramnathi). 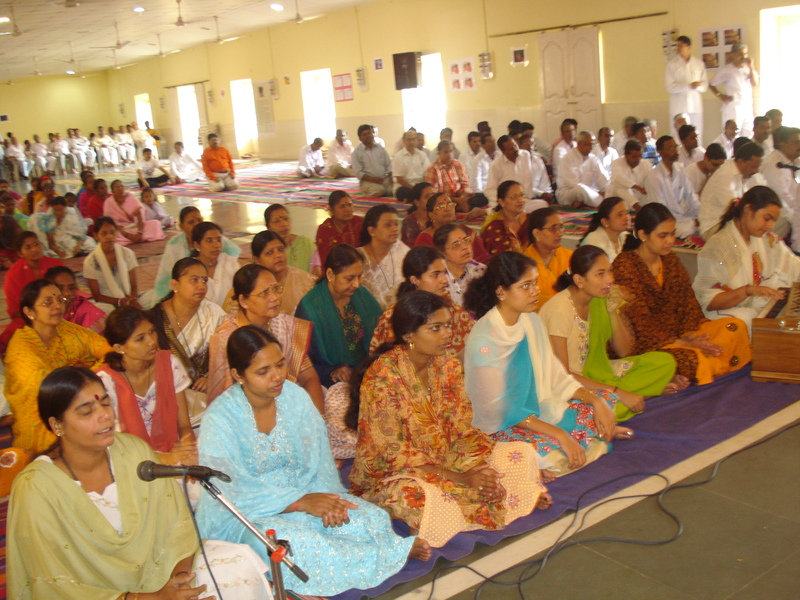 The samiti of Ponda were hosting the program. 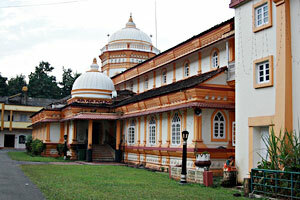 In the hall of Ramnath temple all the arrangements were made. The stage was beautiful decorated with crafts and curtains. Two huge frames of Shridi and Sathya sai baba stood on that was garlanded with flowers. At 5:45 pm, the Sai Jyoti arrived at Shri Ramnath temple. 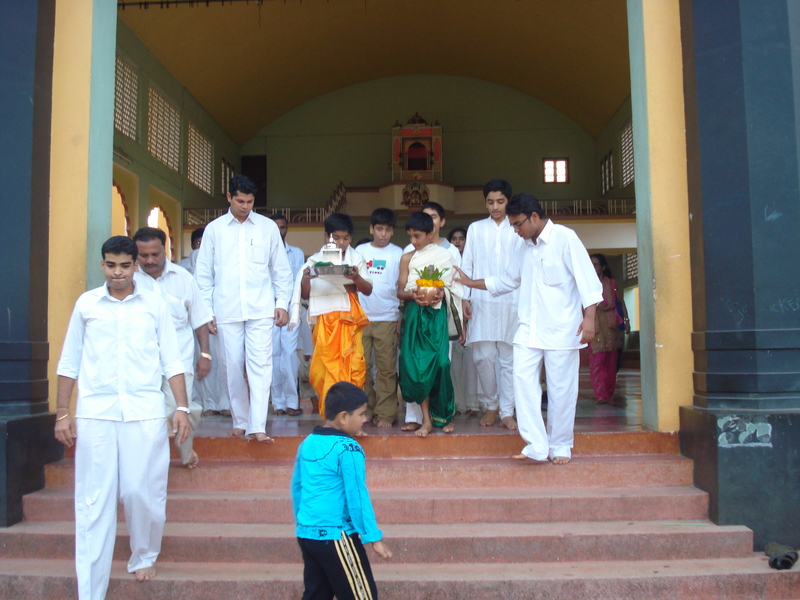 From there, the Sai Jyoti was carried to the Bhajan hall with veda chantings hymned by the balvikas students. 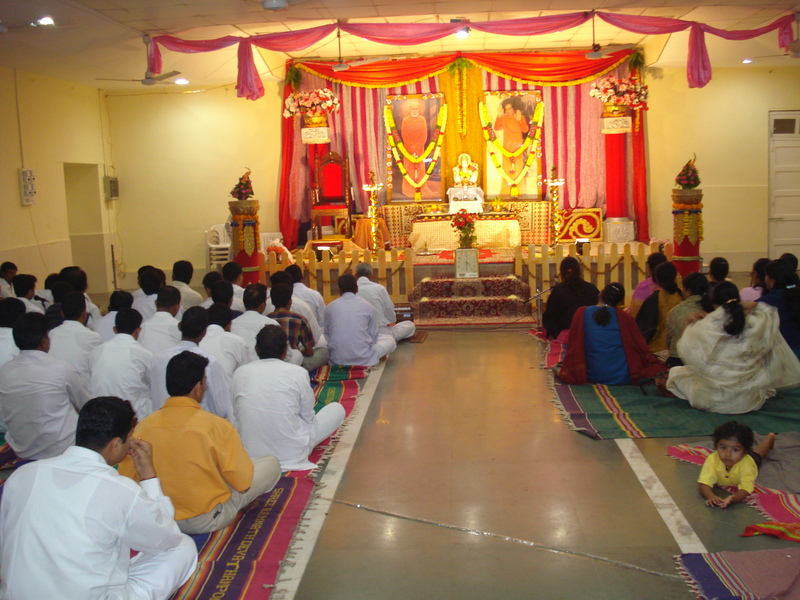 After the installation of sai jyoti on the stage, the Akahnda bhajan began. Lips sang and hands clapped in the melodies. Sai Youths joined in with zeal during their schedule and filled the hall with ecstasy. Next morning there was suprabhatam followed by Nagarsankirtan and in the afternoon there was one more schedule for Sai Youth bhajans. During the last hours, selected singers raised the momentum and the atmospehere vibrated with chorus and claps. The akhand bhajan ended with Aarti and prasadam.